The capital city of Saratov oblast. Saratov is a large city located in the southeast of the European part of Russia, on the right bank of the Volga River. 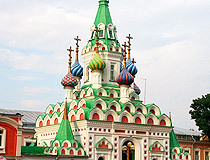 The capital of the Saratov region, it is located about 840 km south-east of Moscow. 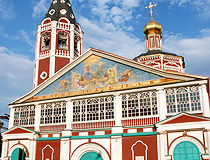 It is an important cultural, economic and educational center of the Volga region. The population of Saratov is about 842,000 (2015), the area - 394 sq. km. The phone code - +7 8452, the postal codes - 410000-410600. Local time in Saratov city is April 20, 9:26 pm (+3 UTC). 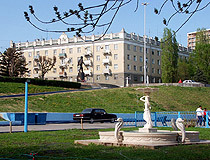 People lived on the site of present Saratov since ancient times. The last settlement that existed before the foundation of Saratov was destroyed in 1395-1396, during the invasion of Tamerlane, who ruined Uvek (Ukek) - one of the towns of the Golden Horde. After the military campaigns of the Russian Tsar Ivan the Terrible against the Khanate of Kazan (1552) and the Khanate of Astrakhan (1556), Russian kingdom received vast territory of the Volga River region. At the end of the 16th century, to make the Volga River safe for merchant ships and defend the southeastern border of the state, several fortress were built along its banks. Samara fortress was founded in 1586, Tsaritsyn (Volgograd) - in 1589. The town of Saratov was founded in 1590, halfway between Samara and Tsaritsyn. There are several hypotheses of origin of the name of Saratov. 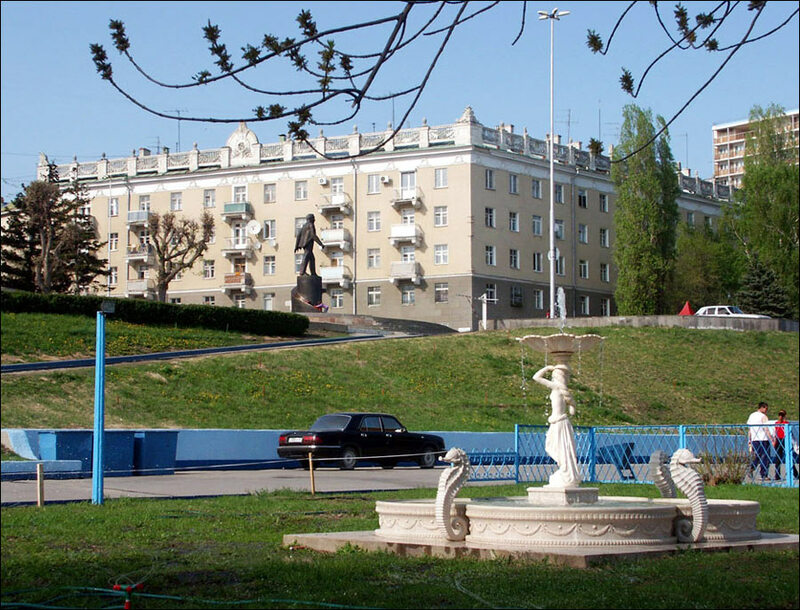 The first says that it is connected with the Turkic phrase “Saryk Atov” meaning “hawk island”. Another one says that it is from the Tatar phrase “Sary Tau” meaning “yellow mountain” (Saratov is surrounded by several sandy hills). 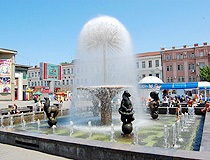 In 1674, the town was moved to the right bank of the Volga, in the area of the current Museum Square. 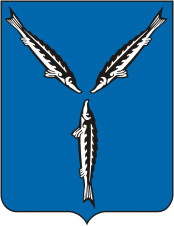 The favorable location of Saratov at the intersection of the shortest overland route to Moscow and the water route from the lower reaches of the Volga and the Caspian Sea made the town a major center of trade in fish and salt. In 1763, foreigners were invited to settle on vacant lands of the Volga region, a large number of German settlers came here. Saratov continued to develop and the following buildings were opened: public school (1786), printing house (1794), hospital (1806), theater (1810), gymnasium (1820), Alexander Nevsky Cathedral (1825), Transfiguration Cathedral (1826). The War of 1812 brought some changes in the life of Saratov. In 1813, French prisoners were exiled here, they were used in public works. Later, a lot of them took Russian citizenship and remained in Saratov. 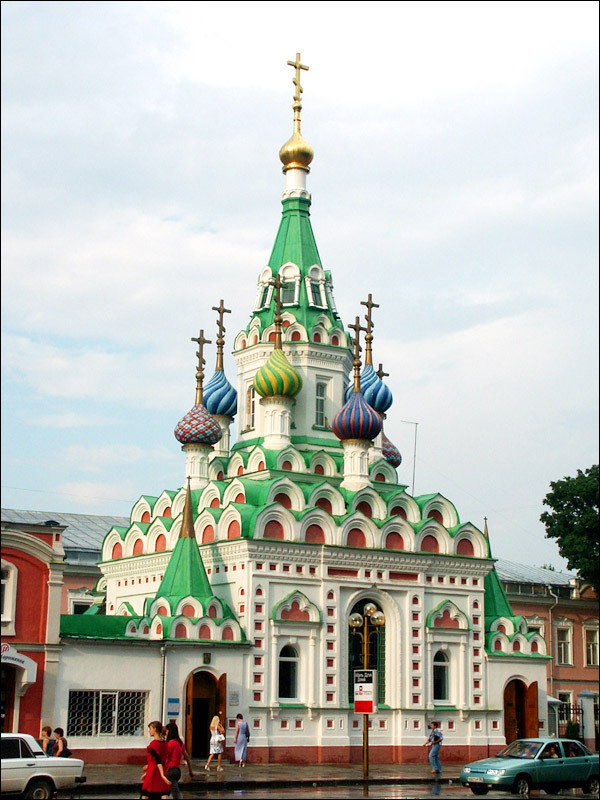 In memory of the victory over Napoleon, Alexander Nevsky Cathedral was built in the center of the town. 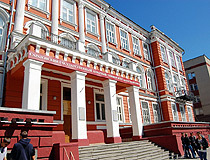 In 1828, Saratov Tobacco Factory was opened, one of the first in Russia. In 1844, the new building of the City Duma was completed. The Volga River become the main transport artery of the Russian Empire and Saratov became a major river port. In 1871, Tambov-Saratov Railroad connected the town with Russia’s railway network. It was a powerful impetus to the further development of Saratov. In 1876, the first stationary circus in Russia was built here. In 1908, the tram appeared in the town. Saratov tram system is one of the oldest tram systems in Russia. 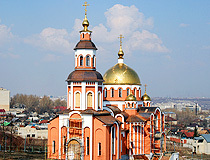 Until the end of the 1920s, Saratov remained the largest city on the Volga (larger than Kazan, Nizhny Novgorod, Samara) and was often called “the capital of the Volga region”. Also it should be mentioned that the city was home to the Volga Germans for a long time. The town of Pokrovsk (Engels) located just across the Volga River was the capital of the German autonomous region with a population of about 800,000 people. A lot of them (about 400,000) were exiled to Siberia and Kazakhstan at the beginning of the Second World War. Later, in the 1980s, most of the Volga Germans emigrated to Germany. During the Second World War, a number of factories and military schools were evacuated to Saratov. The city became a large industrial center of the Soviet Union. Saratov had the status of “closed city” (no foreigners were allowed to visit it), because it was a major aerospace center. The city stretches for 34 km along the Volga. The central and southern parts of Saratov are situated in the valley, surrounded on three sides by low mountains of Volga Uplands: Sokolovaya (165 meters), Lysaya (286 m), Lopatina (274 m), Altynnaya (251 m ), Uvek (135 m). Urban public transport is represented by trams, trolleys, buses, minibuses, and taxi. Saratov climate is temperate continental. The city has long (about four months), moderately cold winters and hot, often dry summers. The average temperature in February (the coldest month) is minus 8.1 degrees Celsius, in July - plus 22.4 degrees Celsius. 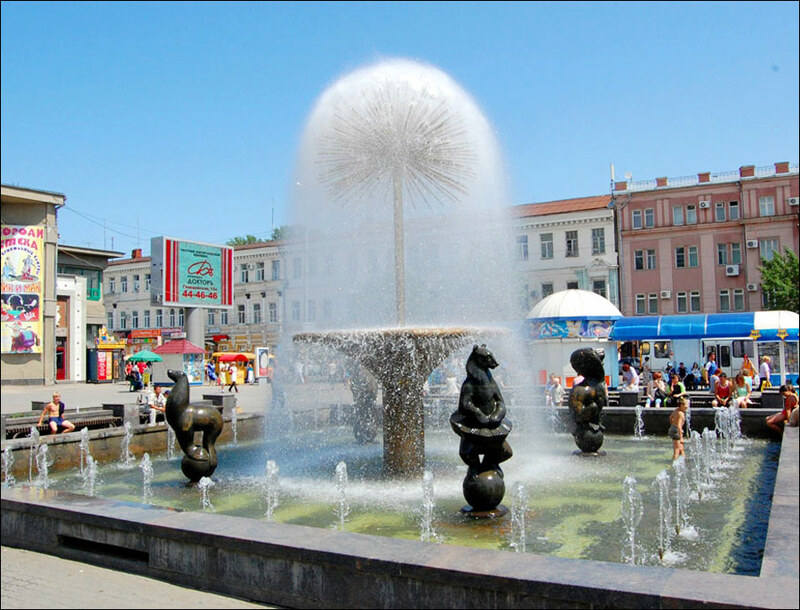 The city is known as a center of higher education, research and scientific activities. 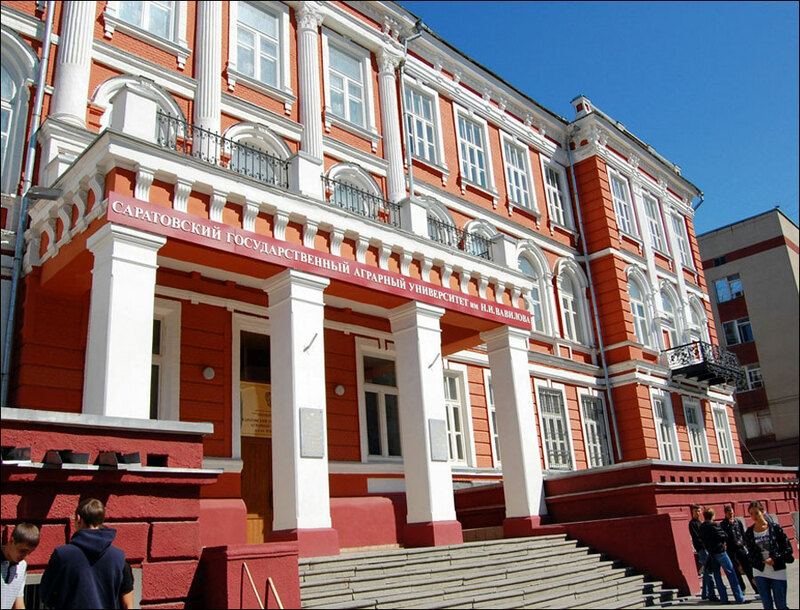 Beside one of the oldest Universities in Russia, there are over a dozen of colleges in the city. 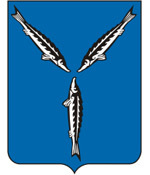 Saratov is an important industrial center of the Volga River area. Machine-building, oil and chemical industries are well developed. About 70% of the industrial product of Saratov is produced by large engineering plants. 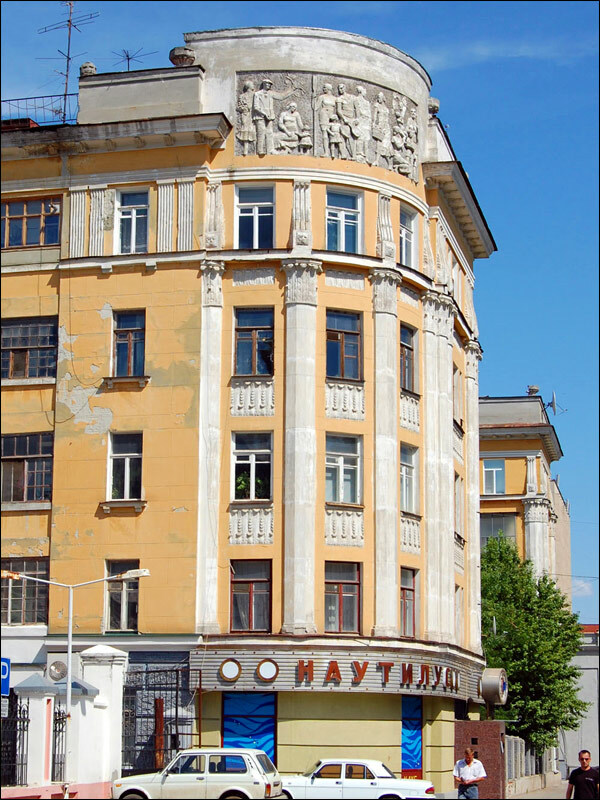 Present Saratov combines the architecture of an old merchant town and modern city. At the same time, it is a city of universities, theaters, and museums. 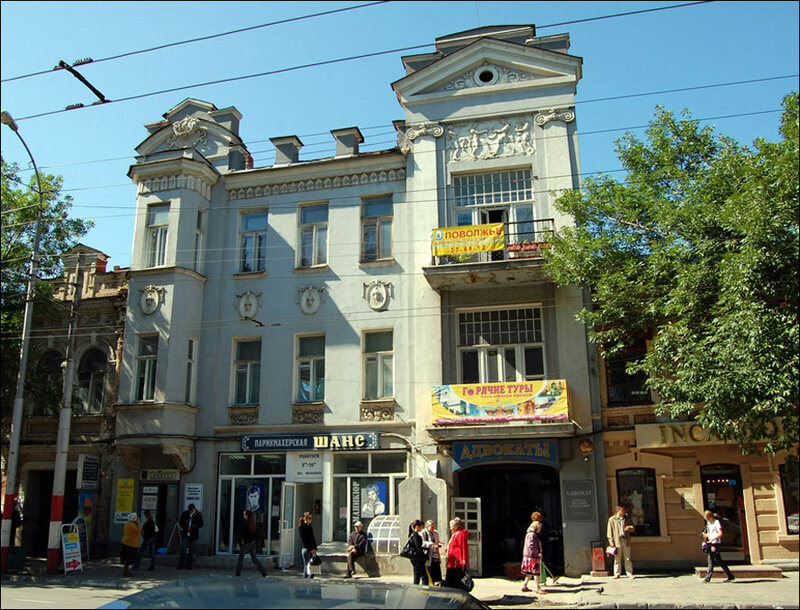 The historical center of Saratov consists of a number of buildings constructed in the late 19th - mid-20th centuries. 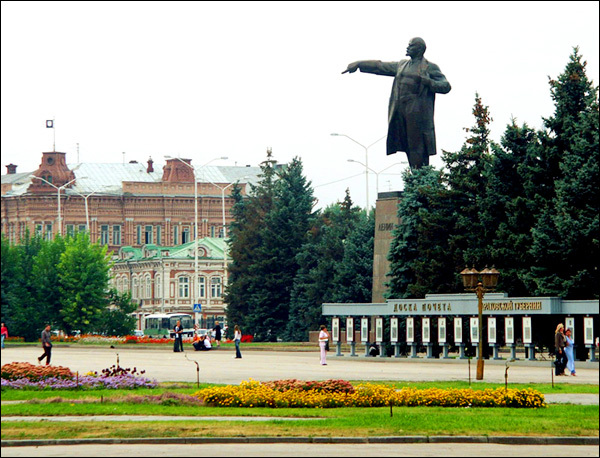 You can begin acquaintance with Saratov by strolling through the city center. 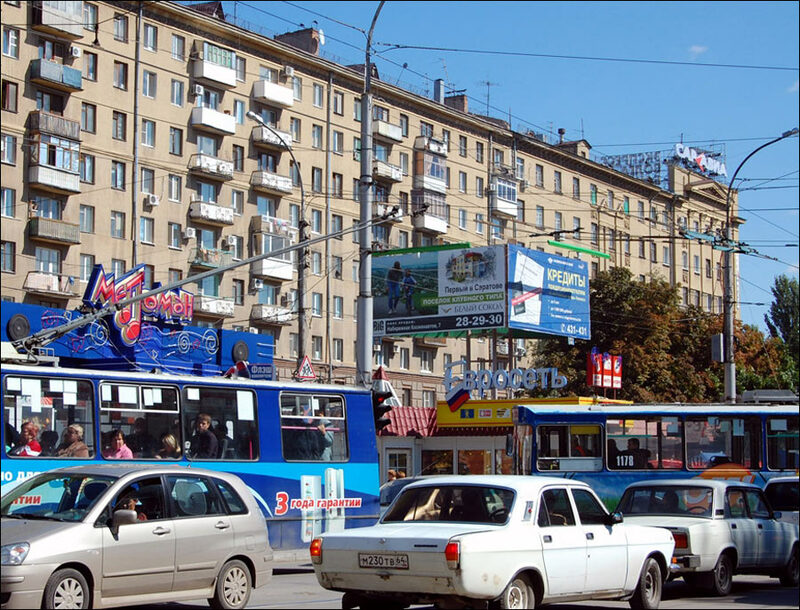 Kirov Avenue with a lot of hotels is called “Saratov Arbat”. At the end of the avenue you will find a quiet and picturesque Lipki park, where you can relax after a walk through the city center. On the famous Cosmonauts Embankment of Saratov, you can enjoy the beauty of the Volga River and will be able to walk over the bridge “Saratov-Engels” or take pictures near the Rotunda - the favorite place of the newlyweds in Saratov. 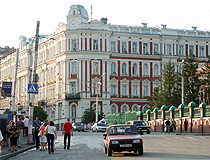 Chernyshevskogo Street is the longest street in Saratov stretching for 7 km along the Volga. 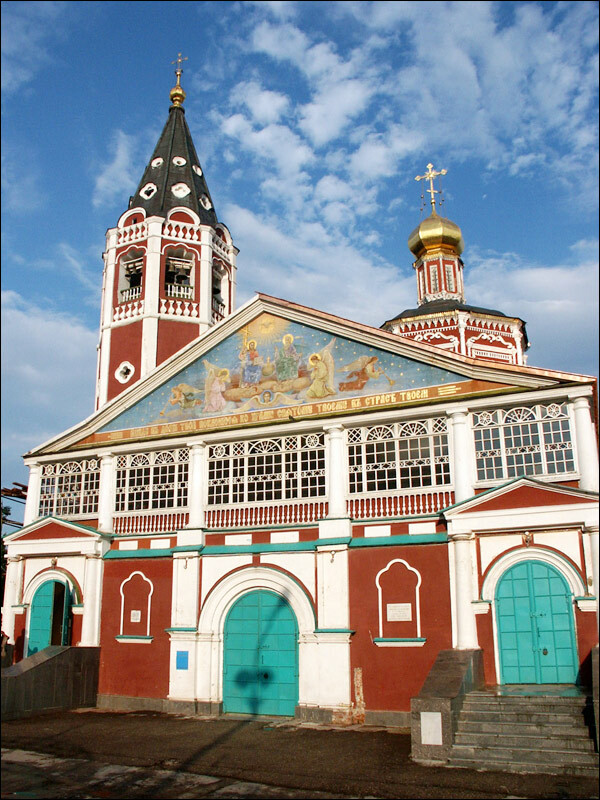 The oldest building in the city is Holy Trinity Cathedral (1674-1695) located on Museum Square. 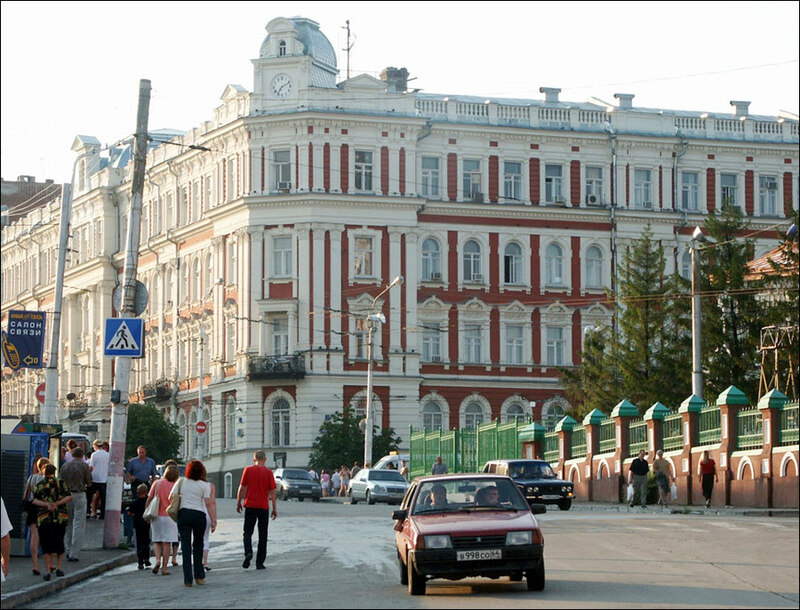 The most massive building constructed before 1917 is the Volga railway administration building (Moskovskaya Street, 8). Saratov registrar has probably the most elegant and beautiful building in the city (Volzhskaya Street, 22). The mansion was built in Art Nouveau style in 1901. 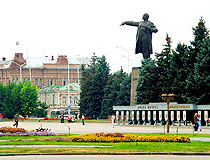 The largest green area in the city is Saratov Park of Culture and Rest named after Maxim Gorky (October district) opened in 1935. The park covers an area of about 30 hectares. 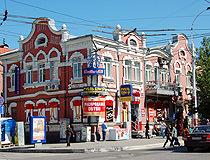 Sovetskaya Street is considered one of the most prestigious in Saratov. 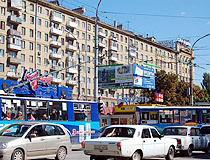 It starts from Radishcheva Street and stretches to Astrakhanskaya Street. 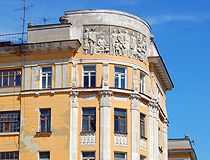 There are a lot of cultural monuments on Sovetskaya street. The place where the first spaceman Yuru Gagarin landed, located about 16 km away from Engels, as well as Uvek, the remnants of an ancient town and a large center of the Golden Horde, located to the south of Saratov, are among the other sights. 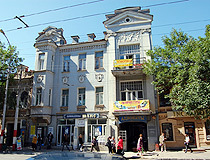 Glass Museum (Lomonosova Street, 1/1). Saratov Circus, the first Russian stationary circus. 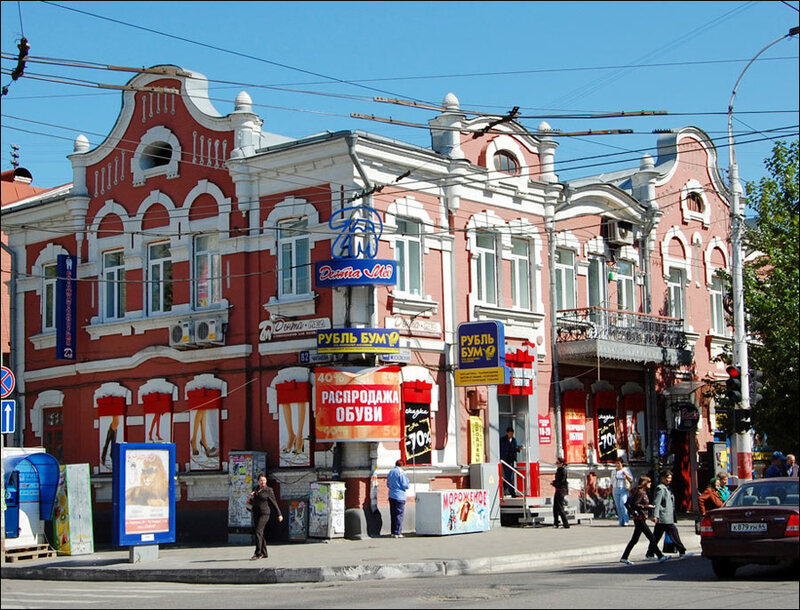 In 1951, Oleg Popov, a world-famous clown, began his career here (Chapaev Street, 61). As an American visiting Saratov for the first time I was a little apprehensive, but I was pleasantly surprised with the friendliness of the people, so much so that I returned many times in recent years. 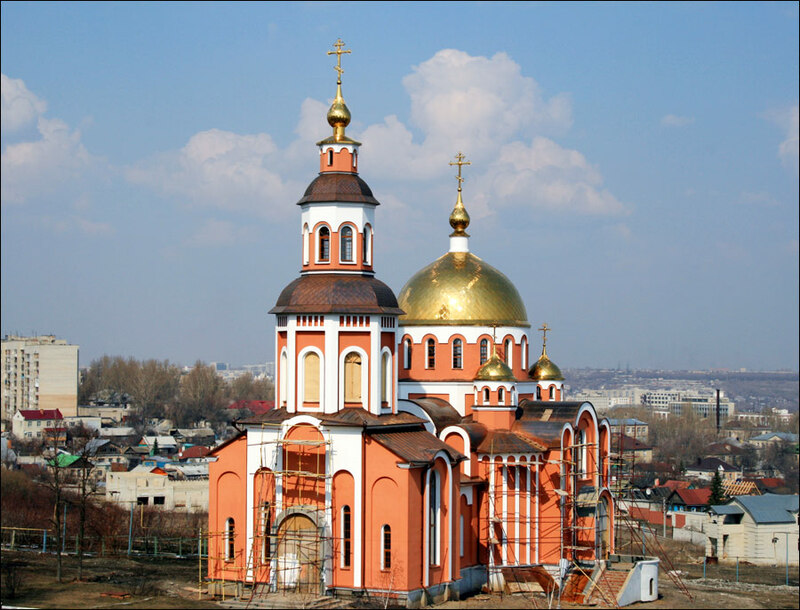 If you are interested in exploring Russia away from the usual Moscow or St Petersburg, you should consider Saratov with its location on the Volga River, interesting city center and landmarks. You will find the people will try and interact with you even if you don't speak Russian. Another wonderful adventure! One of the more nice cities of Russia.